I would like to see the UI option to make Gold & Plat effects static. I find the marquee strobe effect quite irritating visually, playing against premium decks gives me a headache. Now that rarity isn't displaying as text anymore, the soulbound lock icon should be moved a little bit for better at a glance readability. And common/uncommon colors should probably be made a little easier to distinguish. Updated to include everyone's suggestions! I'm sorry if this has been suggested before (not sure?) 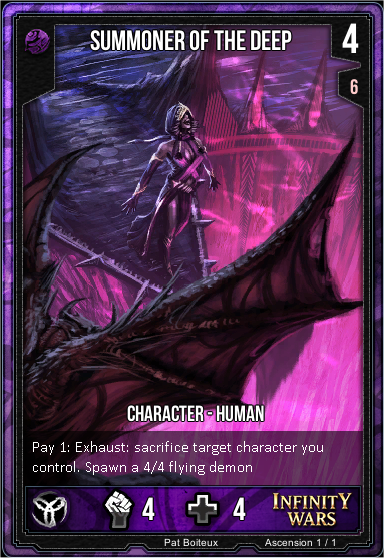 but there really needs to be a way to sit back and check out the FULL SIZE CARDS (and the art that comes with em) in the deck builder. By full size I mean the size you get when click on weekly quest rewards for example. #1 looks NEAT, #2 definitely hurts a bit from the downsize. We need a way to display FULL SIZE and admire the art from the deckbuilder or however we browse our collection. While I do agree with you, Noobshock, I believe you posted the wrong screenshot for the second picture. Maybe if you were to click on the picture of the card on the left, it would pop up like they do in game? 2nd picture is the maximum size you'll get while browsing through the deckbuilders (the one that displays in the top left area). There's currently no option to click on the card to zoom in. I'm sorry if my post was unclear, but the second part was supposed to be a suggestion. 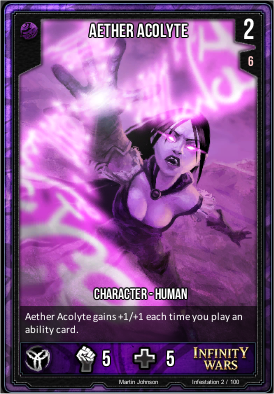 I'm thinking that would be a good way to be able to see the full art without it taking up any extra space in the deckbuilder. Actually i like that, so you can different soulbound cards from the others very quickly. => Shortly the same way aletas archive works. So in the deckbuilder right now there is a tiny dropdown menu in the corner to tell the game what format it should show legality for. I feel like this menu should also be able to make your collection show only cards legal in the selected format. I also think it would be helpful if the list of all your decks could be sorted under the formats you save your decks as. This format selection should maybe become bigger and in a more obvious spot if it will gain this functionality. Would like to see separate tabs for trading different rarities. At the very least, have a Premium Trade tab for Epic, Legendary, Plat, Gold and Foil and a Standard Trade tab for Rares, Uncommons and Commons. As a newbish sidenote to this, one of my more difficult barriers entering the game at this point has been that trying to trade for lower level stuff is difficult in the current trade channel which is heavily weighted toward premium trades. I'm up for some lower level trades. I'm trying to collect Uncontrolled Rifts. Don't really care about them being golf, foil, or anything like that. Sadly, I also don't have a huge selection of tradable uncommons either, but mayhaps I might still have something of interest. Anyways, I do agree that drying to do such trades in the current trade channel seems difficult if not impossible.